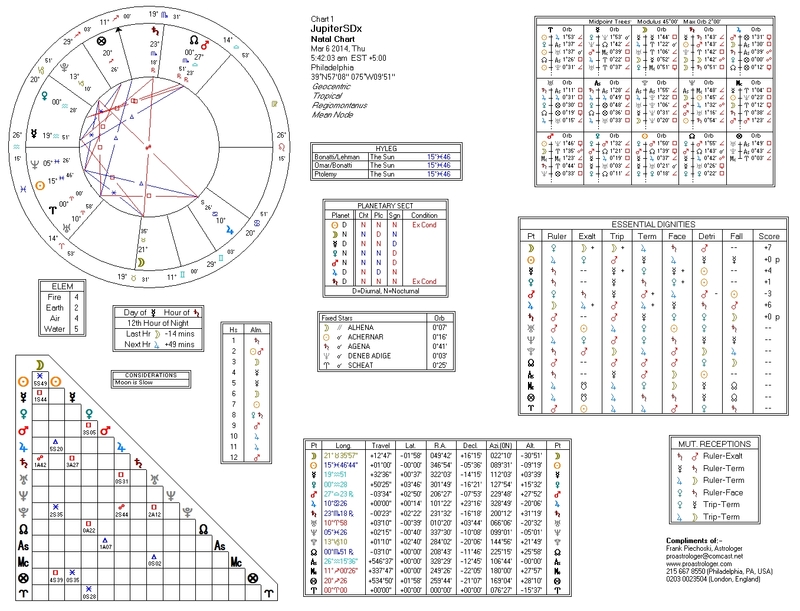 Mars entered Libra on December 7 2013 and has a rather interesting journey to complete before departing the sign of his Detriment on July 25 2014. The slow-moving planets in the middle degrees of Cardinal signs will be activated by Mars’ travels – especially during the retrograde period from March 1st through May 19th. 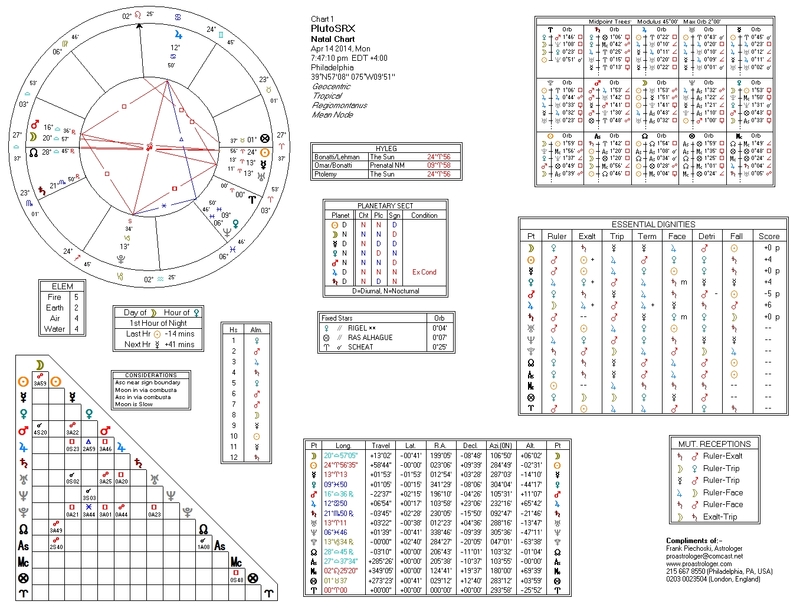 This article will examine this period in relation to United States and World affairs and will concentrate on the Mars retrograde period – this will of course include the stations and aspects of other planets, and other astrological configurations. 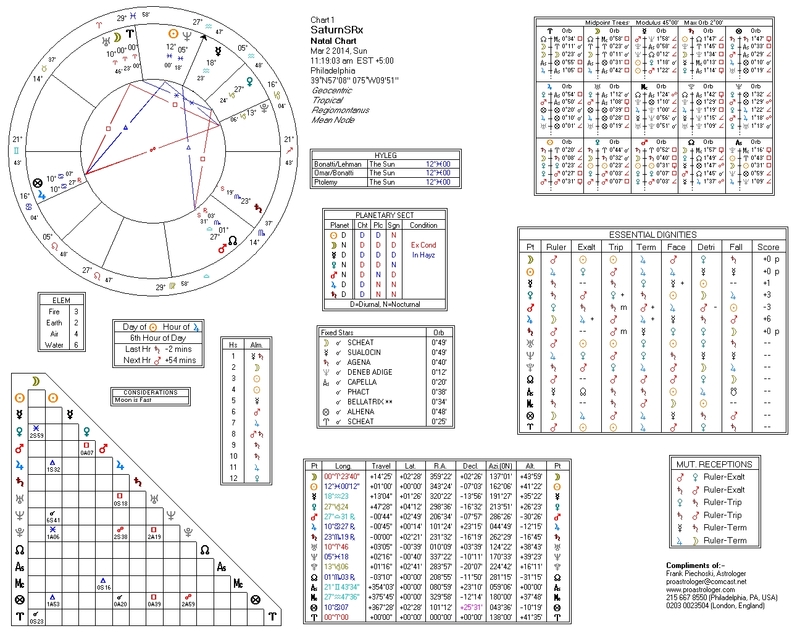 The chart for Mars turning retrograde, set for Philadelphia, may be seen below. 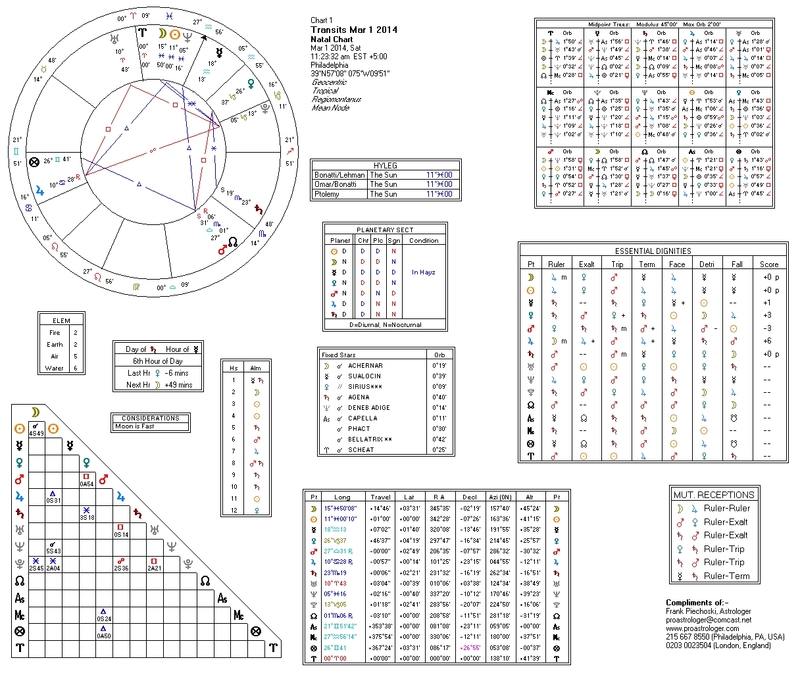 There is a platick, double-applying square with Venus, which is also disposing Mars in the sign of his Exaltation. Mars makes, at this time, no other Ptolemaic aspects to other planets within moiety of orb.To focus on where the Mars energy might manifest on Earth, it’s usually best to look at where Mars will be on the angles via astro-mapping. Here is a World map of the Mars lines below. The MC and IC lines mostly avoid large landmasses, but the IC line does cross volcanically active Iceland and the MC line addresses the Pacific Ring of Fire. The Mars station may be the harbinger of increased volcanic activities in those regions. The rising and setting lines highlight western North America and south and central Asia. Particularly intriguing is the Mars on the descendant directly through Las Vegas – which we shall examine more closely later in the article. As Mars regresses through Libra, several notable contacts will be made with other planets, and aspects amongst slower-moving planets will themselves perfect – as well as stations of the other planets. The day after Mars makes his station, Saturn also turns retrograde as the Moon passes the Aries Point. Saturn’s station takes place the very next day, very close to the time Mars made his station – therefore Mars’ place on the map is nearly identical to his own station – reinforcing those lines. Also notice Saturn on the descendant crossing the USA Gulf Coast – this will show up again later. Jupiter’s station direct takes place on March 6. Jupiter on the Descendant stresses Las Vegas as the Mars station did. Mars and Jupiter lines also cross off the coast of southern California/Baja California. Jupiter lines also border the Ring of Fire, Eastern Europe, the Middle East, and the Horn of Africa. Jupiter on the IC also crosses Brazil, where the FIFA World Cup will be played this summer. Pluto will also make a station in this time period, turning retrograde on April 14. The Las Vegas connection may not be showing up in this particular map, but some other areas are repeated – including the Gulf Coast. We’ve now looked at the station chart to give us a background and set the stage for what is coming up. The configurations that take place around the time the Sun makes its ingress into Taurus are very interesting. These will be examined in Part II of this article.